There are a multitude of things to consider when planning out your garden. Generally speaking soil types, as well as sun vs. shade, and climate are top of the list. However, plant hardiness, compatibility with neighbour plants etc are also key factors. Whether it be flowers, herbs or vegetables, knowledge is power, and knowledge often comes in books. 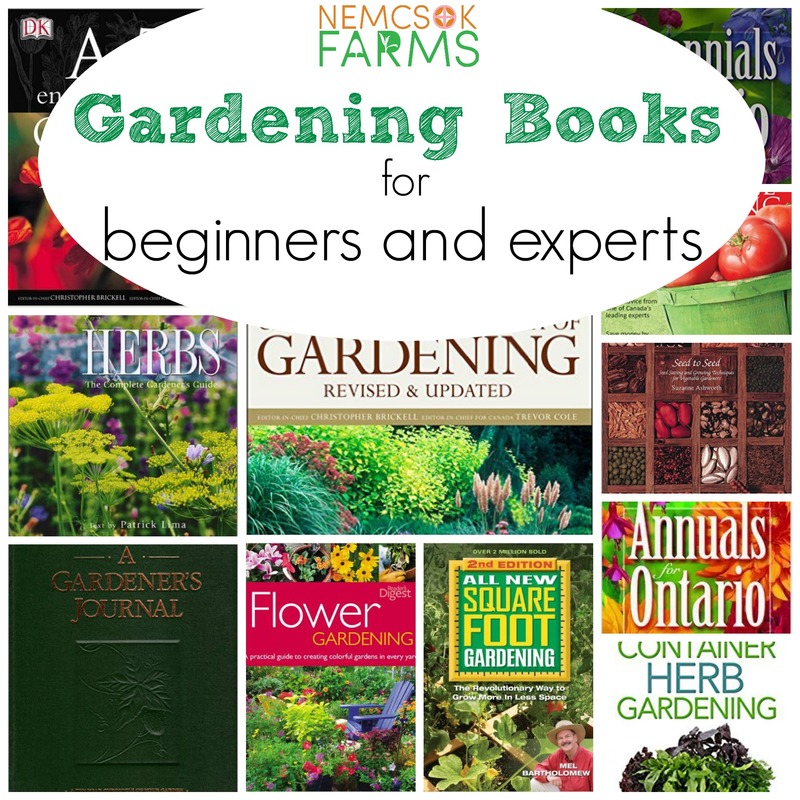 Here is a list of gardening books that you will find helpful, and informative. This is the most used book in my garden library. First, it’s packed with great information on perennials for Ontario, including but not limited to dividing plants. Second, there are tips for what pests to watch out for. Third, and perhaps my favourite part of the book, the chart that allows you to find perennials by colour, height, hardiness and bloom season. Normally I’m not a big fan of annuals, but when you have a spot where you may want to experiment with colour and blossom variety – knowing what annuals have to offer is key. This comprehensive gardening reference is packed with helpful advice. From the growing popularity of green roofs and crevice gardening to an expanded section on how to grow fruit and vegetables in containers, this fully revised encyclopedia includes new photography and step-by-step techniques. 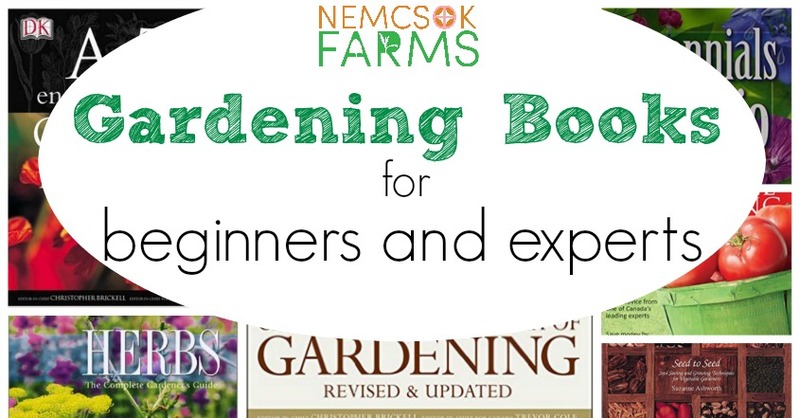 Filled with information on planting, growing and harvesting more than 50 vegetables and herbs, plus it includes full-color images as well as helpful maps and charts. In this new volume, you’ll find discussions on one of the most popular gardening trends today: vertical gardening, as well as making gardening fun for kids, plus an expanded section on pest control. Rich with new full-color images and updated tips for selecting materials. A complete seed-saving guide that describes specific techniques for saving the seeds of 160 different vegetables. This book contains detailed information about each vegetable, including its botanical classification, flower structure and means of pollination. Also, required population size, techniques for hand-pollination, and the proper methods for harvesting, drying, cleaning, and storing the seeds. In Container Herb Gardening, you’re given you all of the information that you need to get started with container herb gardening in your home or apartment. Not only supplies you’ll need and tips to get started, but also how to find the best herbs to grow. Photographs and watercolor illustrations capture all the beauty and detail of these fascinating and practical plants, and the entertaining text is chock-full of clear information, helpful advice and wry anecdotes. A ten year chronicle style journal packed with extras. This is totally worth the price, and you can and will keep it forever. What are your favourite go to gardening books?